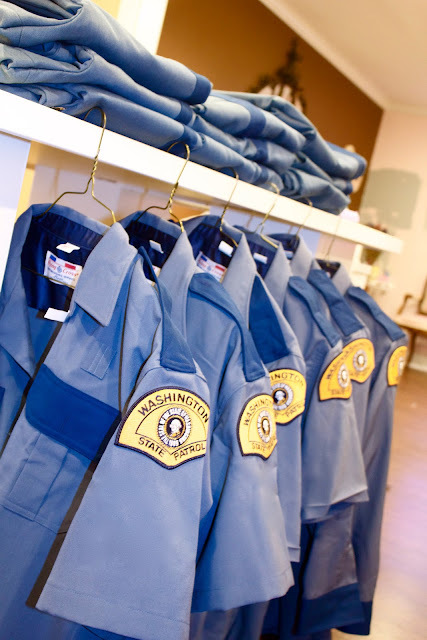 For the past two weeks we've been working on a large amount of alterations, most of them being WA State Patrol uniforms. It required hemming the pants and sleeves and taking in the side seams of most of the shirts. Altogether we altered about 50 different pieces of clothing. It was a big task but we found out that uniform alterations is definitely something we want to get more into doing. And a nice big pile of scraps from the many trimmings! 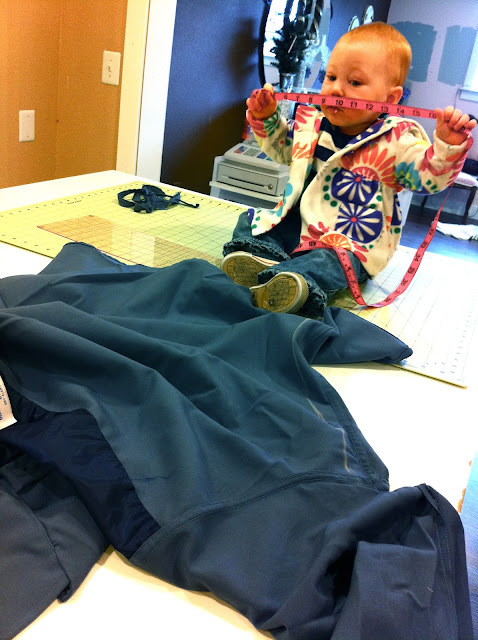 Eloise really liked helping us too!